How is your company’s financial performance? Business owners wear many hats; most are taxed with sales, marketing, finance, operations, and other demands of their business. Some owners are exceptional sales people and horrific bookkeepers, others are the opposite. 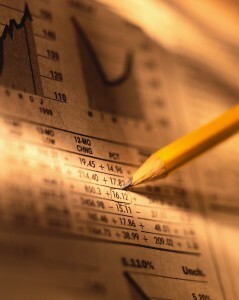 Owners often neglect one of the most important aspects of operating a successful company, proper financial management. Proper financial management begins with the ability to produce accurate and timely financial reports. It is also paramount that you are able to analyze, interpret, and make future decisions based off the numbers. People naturally fear what they don’t know or are not familiar with. Unfortunately, many businesses fail each year due to negligence of financial management. We always encourage our clients to take control of their business and its future by looking at and understanding what is happening to their company financially. The clients who take action–succeed! action and monitor the results. improve performance and get you in touch with the proper resources to bring it to fruition. growth expanding tax base and enhancing quality of life in Minnesota counties. Serving as the fuel of an economy, entrepreneurs and small businesses will perpetually exist. Consequently, it is imperative to provide them with the one-on-one support, inspiration, and resources they need to build their business and flourish. 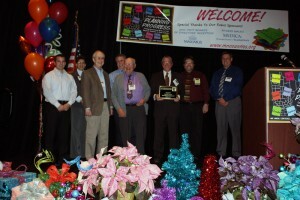 Recognizing the importance, in 2007, the Martin County Board of Commissioners along with the Martin County EDA (MCEDA) set its vision in motion to implement a business facilitation program to assist entrepreneurs and small business in getting their inventions, products, or services to the next level. MCEDA partnered with the Riverbend Center for Entrepreneurial Facilitation (RCEF) to launch an economic development initiative in Martin County called IGNITE.With the mission to Inspire Growth and Nurture Innovative Talent through Empowerment the program strives to grow, strengthen, and develop new and existing businesses and create jobs. The program achieves this by providing entrepreneurs and businesses with free and confidential technical assistance to start or grow their business. The program has been a tremendous asset for both entrepreneurs and small businesses in Martin County. Since its inception in 2007, IGNITE Business Facilitators have provided professional guidance to 155 clients ranging from individuals with a business idea to $5 million dollar corporations expanding their operations. They effectively helped start 56, stabilize 37, and expand 30 businesses, resulting in the preservation or creation of 124 jobs within the 10 communities of Martin County. In 2010, the programs cost per job created or maintained was a mere $616. IGNITE has hosted or participated in 16 community development events and projects. Some of which include Minnesota Marketplace for Entrepreneurs, Core Four Business Planning Course, and Area Career Exploration (ACE). The program has served as a keystone for the county’s natural resource growth and sustainability. Year after year, the program has produced exceptional results and has served as a catalyst in sustaining and growing the economic vitality of the communities in Martin County. This unique model can be imitated by other counties and economic development authorities to stimulate community development at a very low cost.